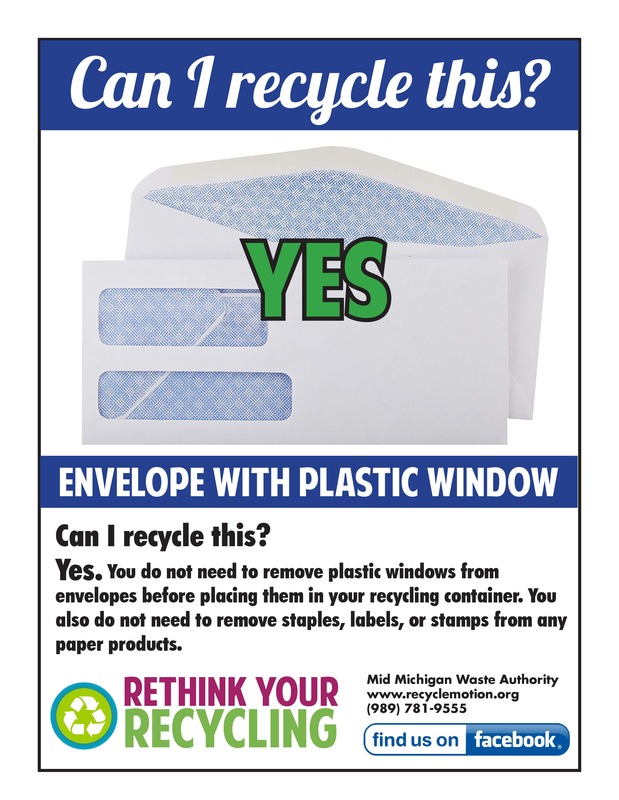 MMWA Recycling Tips - "Plastic Window Envelopes"
The Jonesfield Township Hall is available for rent. Rates are determined by the day and type of party. Township Board Meeting: The next regular meeting of the Township Board is Monday, May 20, 2019 starting at 7:00 p.m.
Special May 7, 2019 Election: Registered voters of Jonesfield Township will vote on the Jonesfield Township Amended Zoning Ordinance No. 002-2018 Wind Energy Facilities approved by the Township Board on August 20, 2018. The proposed ordinance amends the existing Wind Ordinance adopted on October 25, 2004. If you are interested in registering to vote in the May election or if you are interested in voting absentee ballot contact Marcia Stanley by email at Clerk@jonesfield.com or by calling 989-860-9117. The May Election Public Accuracy Test will be held in the Township Office on April 24, 2019 @ 6:00 p.m.
Chapin Road Bridge: The latest news from the Saginaw County Road Commission this long awaited bridge replacement should begin in late June.